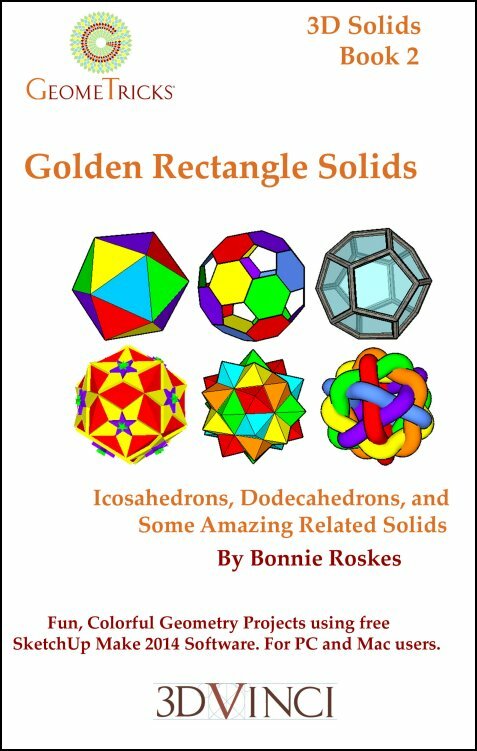 With this book, you will learn all about the golden rectangle, and see how it can be used to build an icosahedron and dodecahedron, two of the Platonic solids. You'll also learn how to modify these solids into Archimedean solids, how to find their duals, and how to combine solids to form compounds. All this paves the way for you to make some amazing objects using both 2D polygons and 3D solids. All geometry is created in SketchUp Make 2014 - a free, easy-to-use 3D modeling application. For both Mac and PC users. View chapter details. Printable PDF format, 8.5" x 11", 89 pages; download info will be sent within one business day.